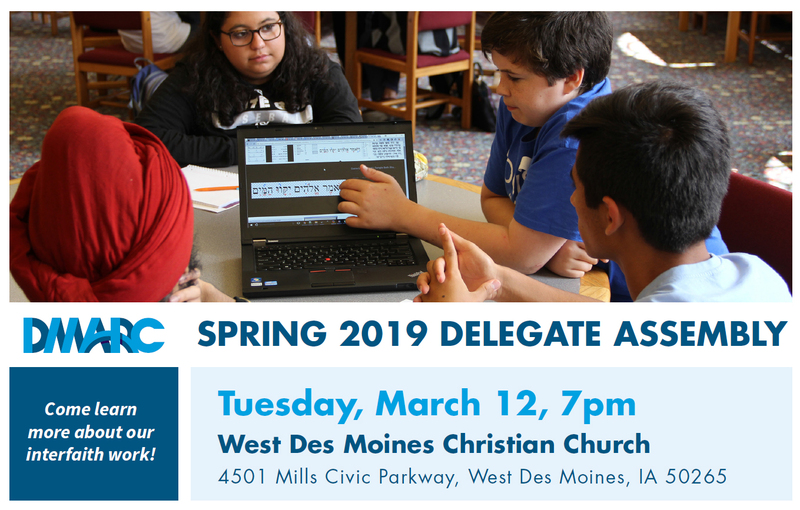 The DMARC spring delegate assembly will be held Tuesday, March 12, 7:00pm at West Des Moines Christian Church, 4501 Mills Civic Parkway, West Des Moines. All are welcome to attend and learn more about DMARC’s recent efforts. Every DMARC member congregation is encouraged to send a delegate and a clergy person to vote to approve new board members. If you would like to learn more or RSVP, please contact Rev. Sarah Trone Garriott at (515) 277-6969 or stronegarriott@dmarcunited.org.